Washingon Black is the latest novel by Scotiabank Giller Prize winning author Esi Edugyan. When two English brothers arrive at a Barbados sugar plantation, they bring with them a darkness beyond what the slaves have already known. Washington Black — an 11-year-old field slave — is horrified to find himself chosen to live in the quarters of one of these men. But the man is not as Washington expects him to be. His new master is the eccentric Christopher Wilde — naturalist, explorer, inventor and abolitionist — whose obsession to perfect a winged flying machine disturbs all who know him. Washington is initiated into a world of wonder: a world where the night sea is set alight with fields of jellyfish, where a simple cloth canopy can propel a man across the sky, where even a boy born in chains may embrace a life of dignity and meaning — and where two people, separated by an impossible divide, can begin to see each other as human. But when a man is killed one fateful night, Washington is left to the mercy of his new masters. Christopher Wilde must choose between family ties and young Washington's life. What follows is a flight along the eastern coast of America, as the men attempt to elude the bounty that has been placed on Washington's head. Washington Black won the 2018 Scotiabank Giller Prize and was a finalist for the 2018 Man Booker Prize and the 2018 Rogers Writers' Trust Fiction Prize. Washington Black is currently being adapted into a TV show. Esi Edugyan is executive producing the project. From the Scotiabank Giller Prize jury: "How often history asks us to underestimate those trapped there. This remarkable novel imagines what happens when a Black man escape history's inevitable clasp — in his case, in a hot air balloon no less. 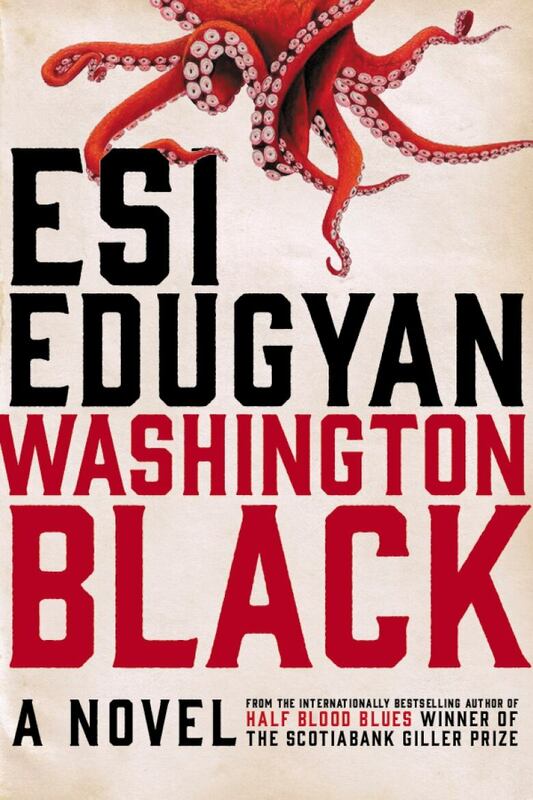 Washington Black, the hero of Esi Edugyan's novel is born in the 1800s in Barbados with a quick mind, curious eye and a yearning for adventure. In Black's vivid and complex world — as cruel empires begin to crumble and the frontiers of science open like astounding vistas — Edugyan has written a supremely engrossing novel about friendship and love and the way identity is sometimes a far more vital act of imagination than the age in which one lives." I might have been ten, eleven years old — I cannot say for certain — when my first master died. No one grieved him; in the fields we hung our heads, keening, grieving for ourselves and the estate sale that must follow. He died very old. I saw him only at a distance: stooped, thin, asleep in a shaded chair on the lawn, a blanket at his lap. I think now he was like a specimen preserved in a bottle. He had outlived a mad king, outlived the slave trade itself, had seen the fall of the French Empire and the rise of the British and the dawn of the industrial age, and his usefulness, surely, had passed. On that last evening I remember crouching on my bare heels in the stony dirt of Faith Plantation and pressing a palm flat against Big Kit's calf, feeling the heat of her skin baking up out of it, the strength and power of her, while the red sunlight settled in the cane all around us. Together, silent, we watched as the overseers shouldered the coffin down from the Great House. They slid it rasping into the straw of the wagon and, dropping the rail into place with a bang, rode rattling away. From Washington Black by EsiEdugyan ©2018. Published by HarperCollins.